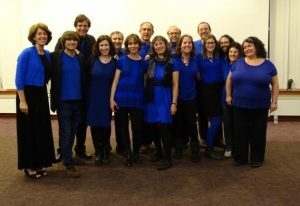 We are Sharon’s premiere co-ed Jewish a cappella group, based out of Temple Israel, focusing on a variety of musical styles including Jewish (sacred and folk), Israeli Pop and Classic Rock. 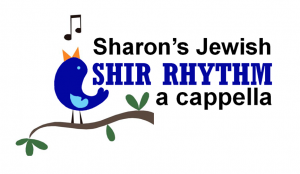 Members of Shir Rhythm love to perform for audiences of all ages. We are a multi-generational, diverse group of singers with one thing in common: we love to sing, harmonize, and have fun! We invite you to share in our music and hope that we can touch your heart in some way. in the style of chapel music.